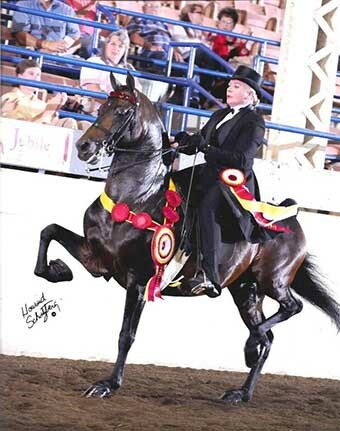 Classic Pleasure/Driving prospect; would do carriage, dressage, hunter pleasure, or even be your most beautiful, safe trail horse. 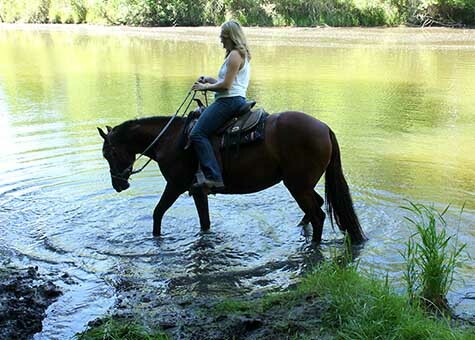 Rhia has been well handled since birth and has been trail rode extensively. She is a "go through what ever she is pointed at" kind of horse. 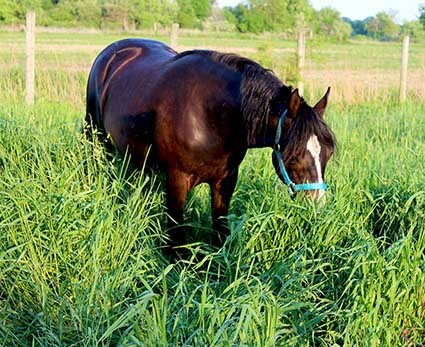 She is safe to ride with other horses (doesn't kick or bite) and doesn't mind riding with well mannered dogs. She has had limited work in an arena; doesn't know cues for leads, doesn't neck rein, etc. 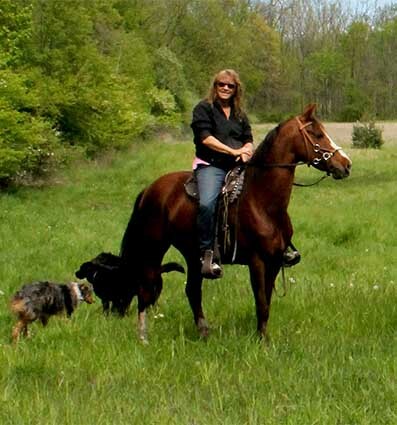 We trail ride here, and as a trail horse, Rhia has been a rock star! She has an outstanding disposition; friendly, kind, and willing to please. 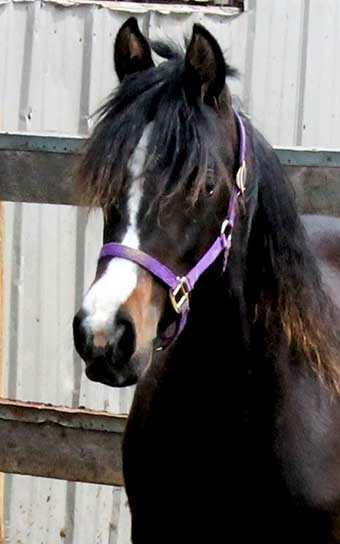 I wouldn't call her a "hot" horse, but she has some spark, snort, and blow to her even if she is a sweetheart. Nothing stupid or dangerous about her, but she likes a calm/confident pilot who can lay a hand on her neck and reassure her once in awhile. Probably not best suited to a timid or nervous rider. She has never worn a shoe or motion-making device. She is well bred; her dam and maternal sister were 2 of my best producers. I've hung on to her all these years for that purpose. Since I'm serious about downsizing, I didn't breed her until 2018. 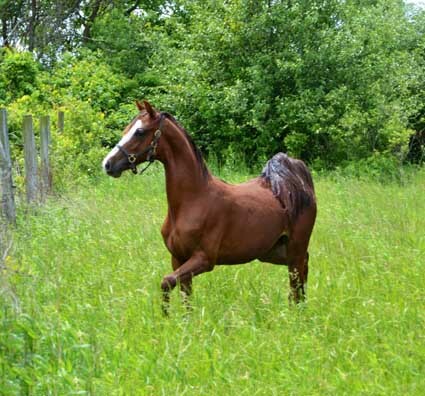 She is now safely in foal to Ultras Special Agent (Tug Hill Commando x Up Hyre Serene Topic, by Tedwin Topic) for a May, 2019 bay foal. 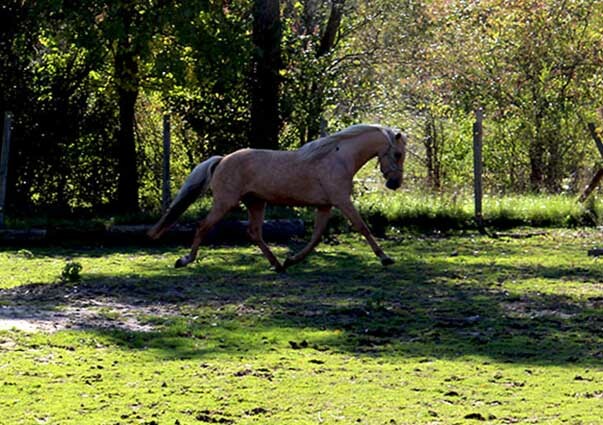 It's hard to part with her -she's a wonderful mare. 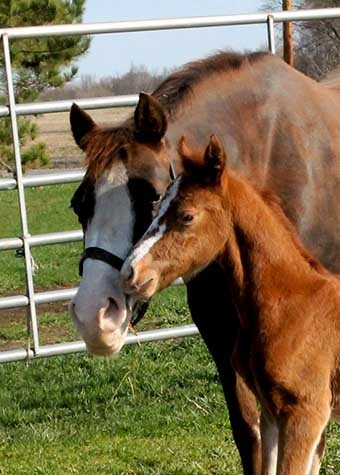 I'm looking to find an outstanding, loving home for her and the special foal she is carrying. This beautiful girl reeks of confidence! She is bold, and fearless. High headed with spark and attitude. Hot; but sane. Will be a very fancy english pleasure or pleasure driving mare. Stared in lines. So pretty and correct! I love her! 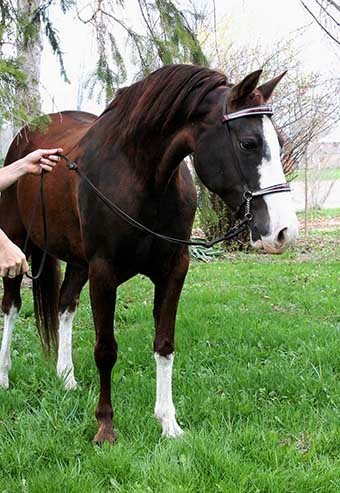 2005, dark-chestnut mare with white trim. 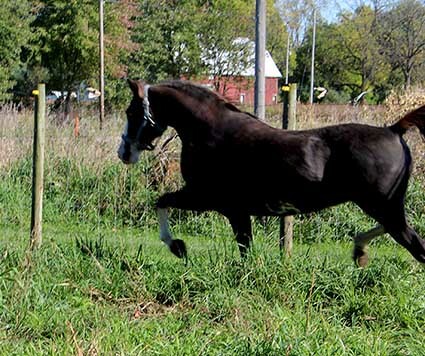 DNA-color tested; she carries the W20 pinto-splash gene, and can produce pinto/high white (may be double-registered as a pinto). 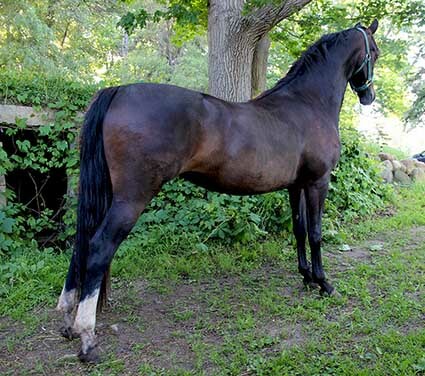 Stands 14.2hh, and offers robust Morgan type. Lily settles, delivers, and raises her foals effortlessly. She passes on a bold confidence and willing disposition. Lily's saddle training has begun; she is sane and willing. 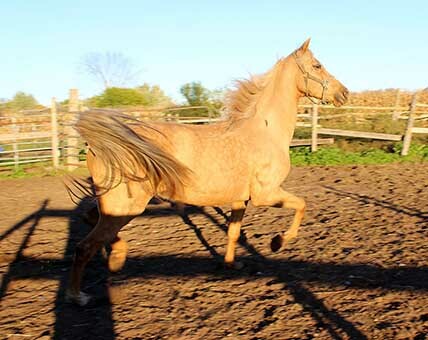 What a fun trail horse or western pleasure show horse she will be! Kind, friendly, and easy to handle, she loads and hauls safely, ties, stands for fly-spray, clippers, hose baths, is excellent for vet and farrier (and current on both). 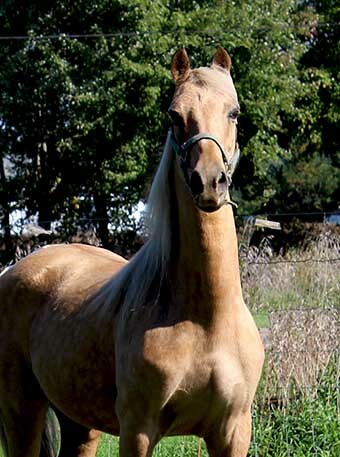 2009, golden palomino mare, 15hh. 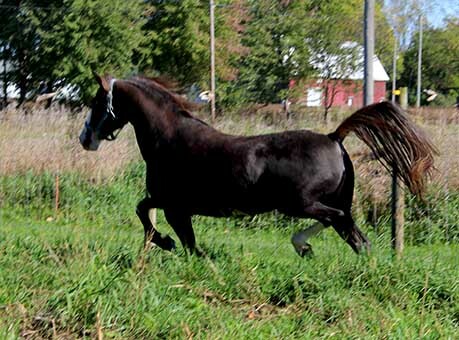 This beautiful mare is regrettably offered for sale since I am downsizing and pulling back from breeding. Otherwise, she would be a keeper! 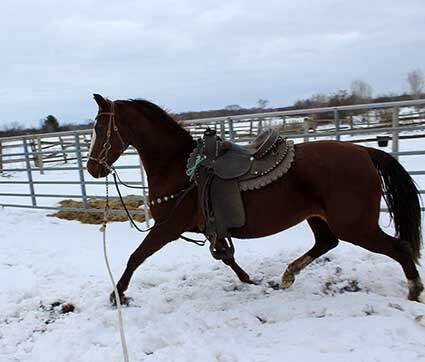 She has only just started her ground work for saddle training. She tries hard to please - and has a bit of spark and animation. Stands well for veterinary and farrier service. Stands for clipping, grooming, fly-spray, etc.